Simple and natural: these are key aspects of the monastic cooking for which Brother Victor has become so widely known and the reason his cookbooks have become international bestsellers, inspiring home cooks the world over. This Good Food presents some 150 French vegetarian recipes that take advantage of seasonal produce and readily available ingredients. These classic and contemporary vegetable dishes emphasize the connection to nature that is so vital to monastery cooking and the key to making meals that nourish both the body and the soul. From a healthy Peasant Soup to a Leek Tart, Fava Beans Castilian Style to a Mushroom Salad with Lemon to Basque Cake with Pears, Brother Victor will show you how rich and delicious flavors can be coaxed from simple ingredients when combined and prepared in the appropriate way. Brother Victor-Antoine d’Avila-Latourrette is a monk of Our Lady of the Resurrection, a monastery that lives under the Rule of St. Benedict and draws its inspiration from the ancient monastic traditions of the East and the West. The monastery is perched on a secluded hilltop outside Millbrook, in upstate New York. 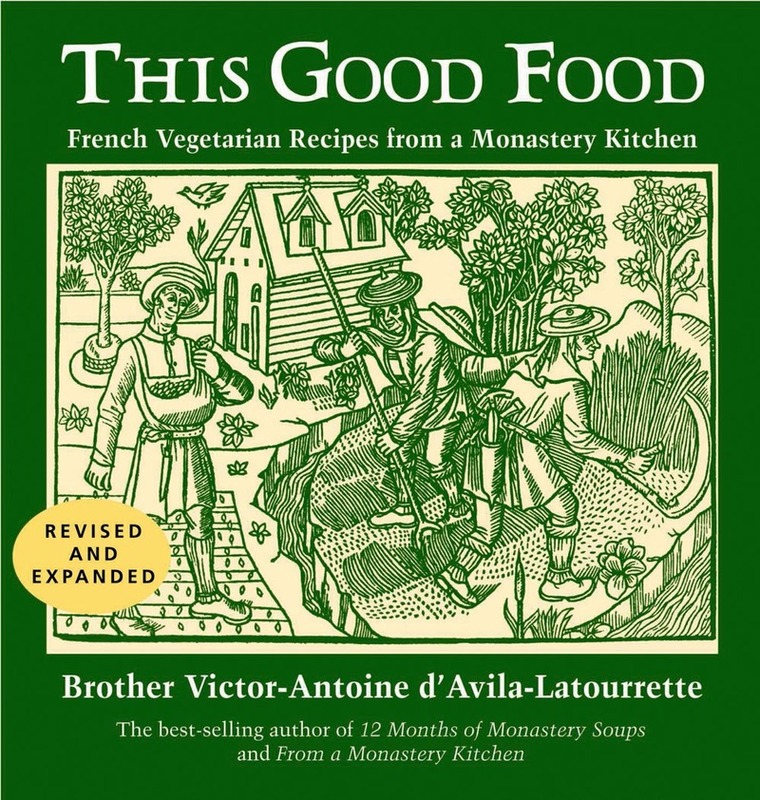 Brother Victor is the author of several bestselling cookbooks, including From a Monastery Kitchen, 12 Months of Monastery Soups, Sacred Feasts, The Pure Joy of Monastery Cooking, The Monastery Garden Cookbook, and This Good Food. He tends the monastery farm and gardens and works in the kitchen preparing artisanal vinegars and other products that are sold weekly at two local farmers’ markets. He collaborates with local Hudson Valley farmers and growers, Vassar College, and Culinary Institute of America students interested in promoting local sustainable agriculture.